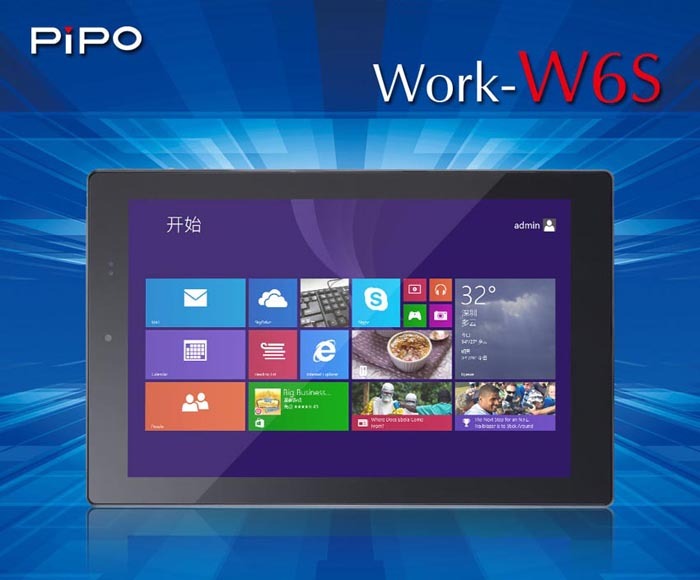 The 8.9 inch dual boot tablet PC - PiPo W6S is coming. The new dual OS tablet features the same size and uses the same CPU as Pipo w6 win8 tablet, but it supports Windows 8.1 with bing and Android 4.4 dual systems. And at the same time, the storage is enlarge to 64GB. When come to the functions, W6s supports GPS, wifi, Ethernet, OTG, etc. It also have a 3G version for 3G networks.